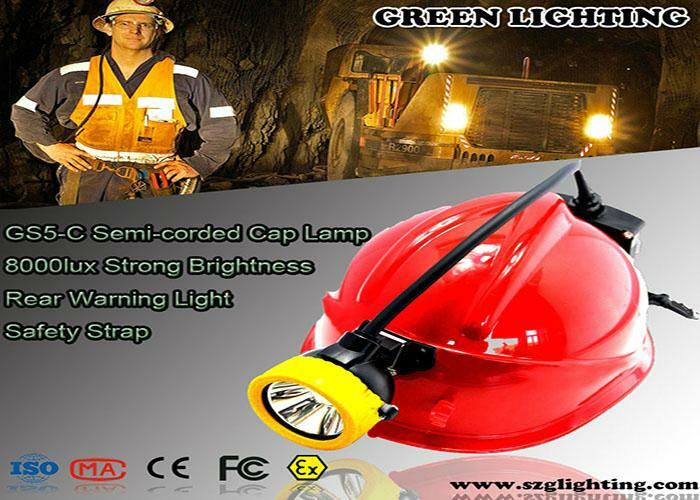 GS5-C New SEMI-CORDED cap lamp ! 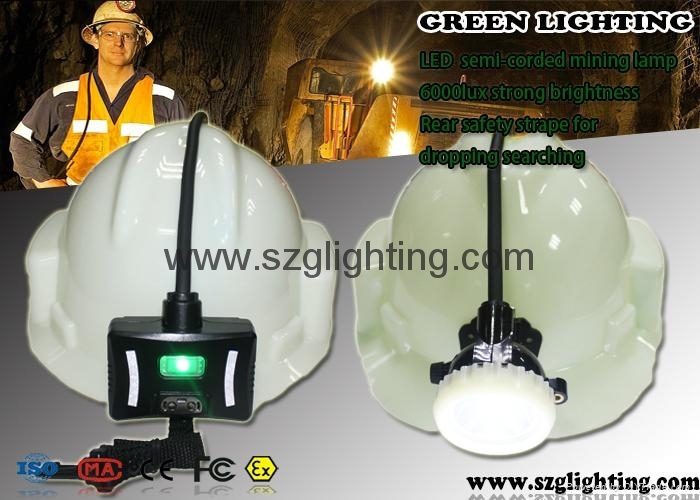 GS5-C is our Newest design cord miner cap lamp!It uses CREE high power white led as main light, 2pcs 0.5W SMD leds as the auxiliary lights,and designed with Rear warning light. GS5-C has high capacity 6.4Ah rechargable Li-ion battery,strong brightness,long lighting time,long life time,high intensity,low usage cost and high safety. 2.This lamp has three chaging modes.USB charger (USB cable) ,cradle charger (battery part) or cradle charger (lamp head part).Any of them are avaliable. packing by colorful box of unit lamp with single charger, 20pcs/carton, 10.83kg/carton.